Running is a big deal in China. A really big deal. Cities across the country host marathons and ultra-running competitions an average of 20 times each week. 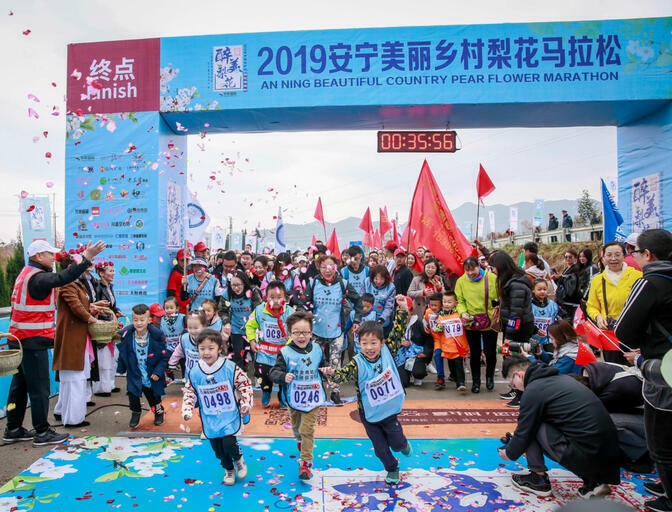 March 9 was no different, with China’s most famous outdoorsman, Jin Feibao (金飞豹), hosting the second Beautiful Pear Flower Marathon in the country’s southwestern Yunnan Province. More than 3,000 people ran the race, which was held in the city of Anning (安宁), just east to Kunming. The competition featured full and half marathons, as well as a six-mile race and family oriented fun run. Highly publicized events like this are part of an effort in Yunnan to accelerate economic development in rural areas. 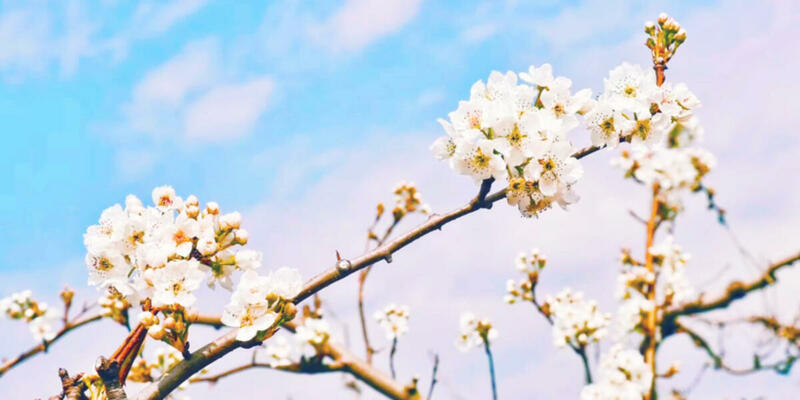 The city of Anning is known mostly for hot springs and pear orchards — thus the marathon’s name — and March is the best time to catch the trees in blossom. 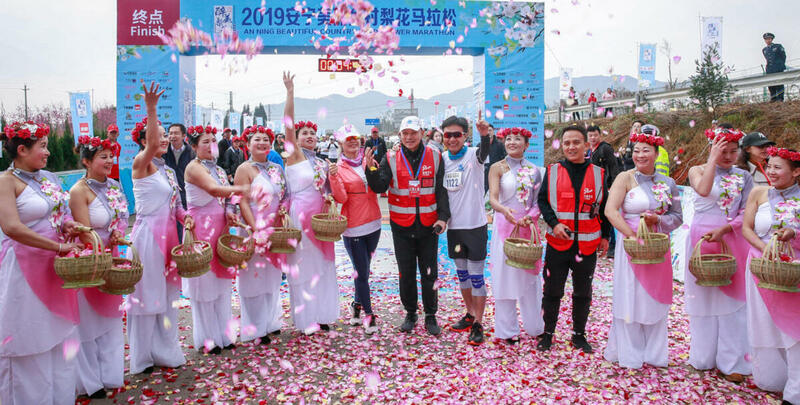 Race sponsors hope that combining China’s fitness craze with miles of blooming pink and white flowers will encourage more tourists to consider Anning among their options when visiting Yunnan. Having a race organizer like Jin doesn’t hurt either. The 56-year-old made his name promoting fitness over the past two decades. Last year, he ran marathons on all seven continents in a week and then 100 consecutive marathons in the same number of days. Jin has also cycled throughout Southeast Asia, ran across the Gobi and Sahara deserts and made a crossing of Greenland on foot. Fifteen years ago, he shot to fame as the first Chinese person to complete the Explorers Grand Slam, summiting the tallest peak on every continent and reaching both poles. Now Jin is using his renown as a fitness legend not just to get people exercising, but also to push them to explore hidden parts of his home province they may never have heard of. Over the course of 2019, he is organizing four other distance races in Yunnan, one each at cities representing the four cardinal directions. Jin expects those races will mirror the one in Anning. “The Beautiful Pear Flower Marathon isn’t really about competition. We are promoting local culture, tourism options and better health through sports. Rural China needs all of these things to get a leg up, and good health naturally goes hand in hand with places like Anning’s lovely orchards,” he said.